Snow Hunters is short, but there is a lot within its 208 pages. 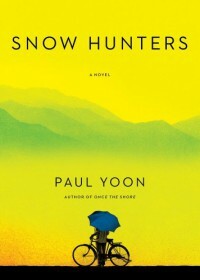 In the most subtle manner, author Paul Yoon manages to stir up feelings of horror, fear, relief, gratitude, love, and compassion in his readers. Simple and refined, this is the most exquisite storytelling I've encountered in a while.